It goes without saying that at this time of year (and most others, actually), everyone's minds are on one thing: food. But at the following venues, dry turkey and Brussels sprouts boiled to a wrinkly squelch certainly won't cut it. We've listed some of our favourite banqueting venues, where feasting is foremost, where the emphasis is put upon the fare as well as the surroundings, allowing diners to enjoy the fully rounded dining experience. The name gives it away, doesn't it? This grand venue was our Unique Venue of the Month for November, and we mentioned the profound history: it is, after all, the site of James I's flamboyant parties. 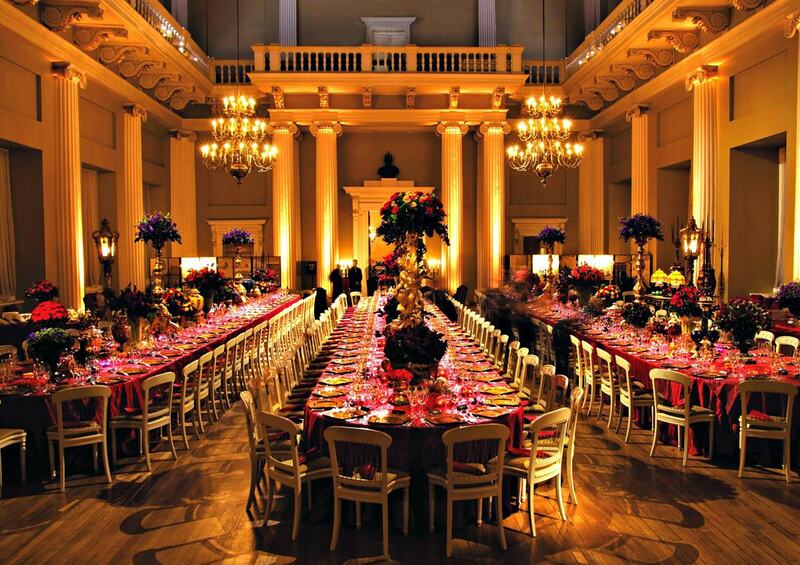 The Main Hall, built in 1622, today seats up to 500 in circular or long tables that stretch the length of the majestic space, while the view of the ceiling overhead is of Renaissance-style paintings commissioned by Charles I – who later lost an important part of his body at this very venue. We follow with another prestigious company – a British scientific academy whose venue, just off The Mall, has hosted some of the most important events in the scientific field. But it's not only open to doctorate physicists and chemists: it's also a public event venue with a capacity of up to 1,000, hosting receptions, launches and more. An award-winning caterer is on hand for gastronomic needs, and room hire is available so that post-meal commutes home can stay within the five-minute bracket. The Hire Space Plus Christmas party was recently held at this colourful Marylebone space, and the hospitality and winter-themed décor were faultless. Carousel is the place to head to if your concern (or your important guests' concerns) is primarily what's on the plate. The unique draw here is the line-up of guest chefs from around the world who reside at the venue for a short time, leaving legacies of menus from diverse cuisines – with upcoming ones including Indian, Japanese, Mexican, Argentinian, Swedish and French. Furthermore, the venue is no stranger to big-name corporate guests, having hosted Toni & Guy and Converse in the past. 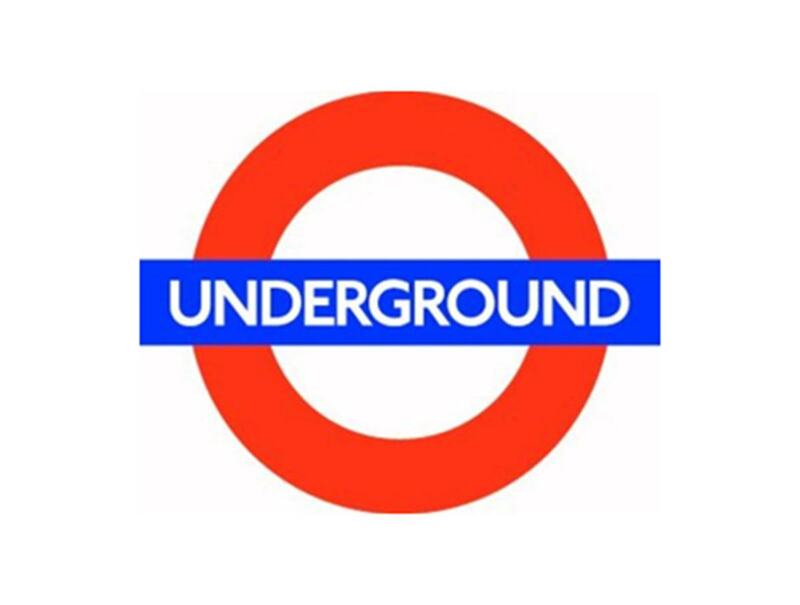 Renowned Mark Hix is the mastermind behind this City eatery, where British produce is manipulated cleverly into delicious dishes such as linguini with Portland crab and chilli, and sirloin of Glenarm Estate beef with Yukon Gold mash potato. 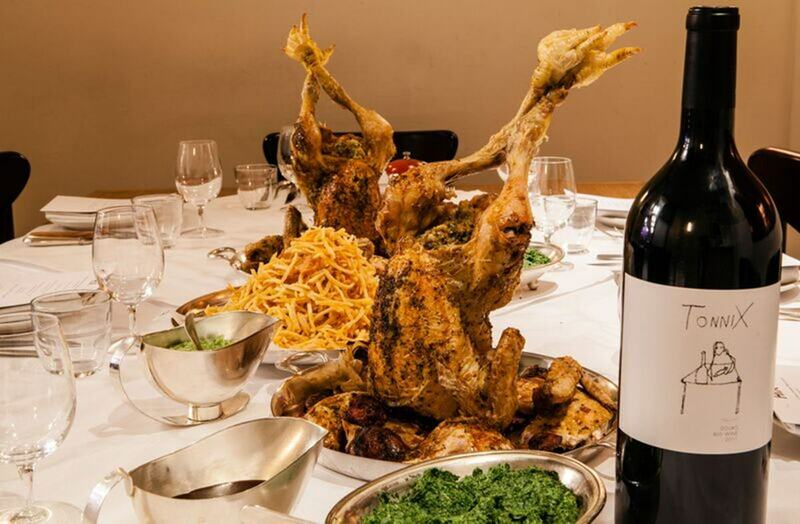 For private dining, there are four feasting menus (to share), and three more formal menus (to absolutely not share), while delicate choices of wines and cocktails are paired suitably with meals. 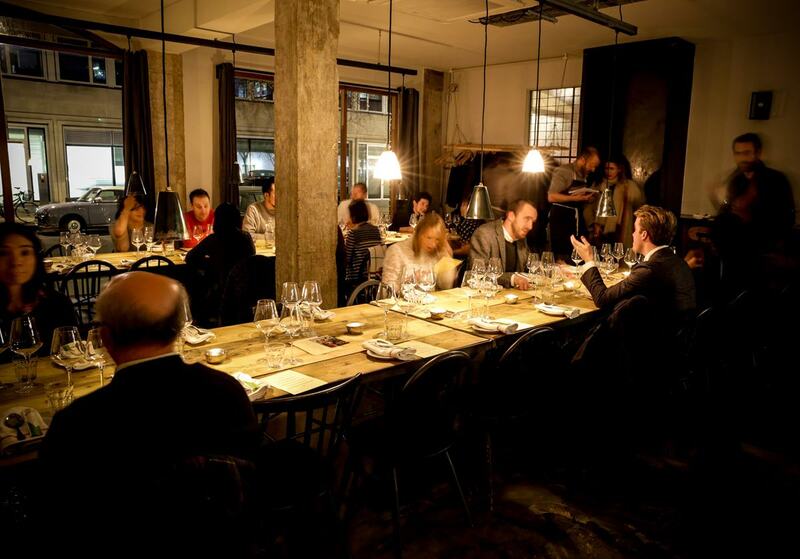 Mark's Bar, also on-site, can be transformed into a welcoming event space, holding up to 60 feasting fans. 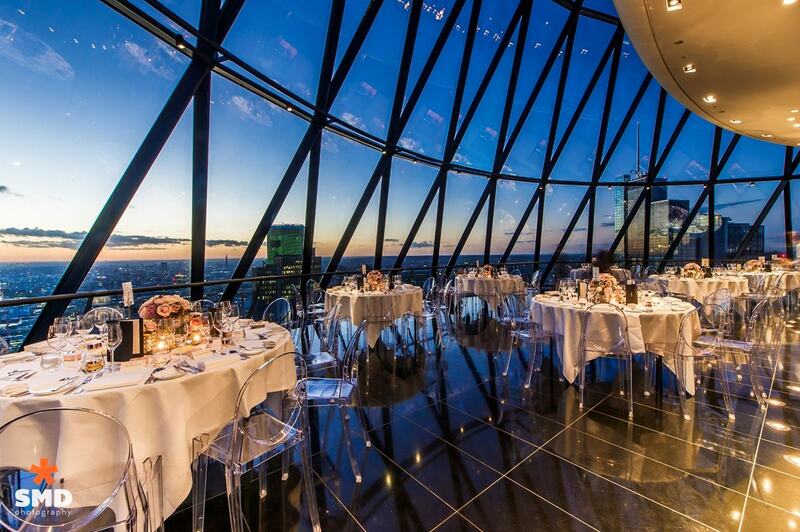 Already named after a foodstuff, The Gherkin should automatically be considered a prime dining venue for banquets. Searcys is located on the 39th and 40th floors of the pickle-shaped building, where 360-degree, scenic views over London are sure to impress. Various rooms are available for a wide range of fine-dining events, from breakfasts to three-course dinners, to five-course dégustation menus. Pretty St Katharine Docks is the location for this quirky and (literally) underground venue, where visitors can feast in a 200-year-old, Grade-II listed vault. The cryptic space is available for private-dining events tailored to individual needs, while a Medieval Banquet is a not-to-be-missed highlight, where a banquet from King Henry VIII's court is recreated in the form of four courses, costumes, and jugglers and acrobats. Authentic Medieval fare includes roasted chicken in slow-cooked civey, and old-fashioned spiced apple pie to sweeten the palate. 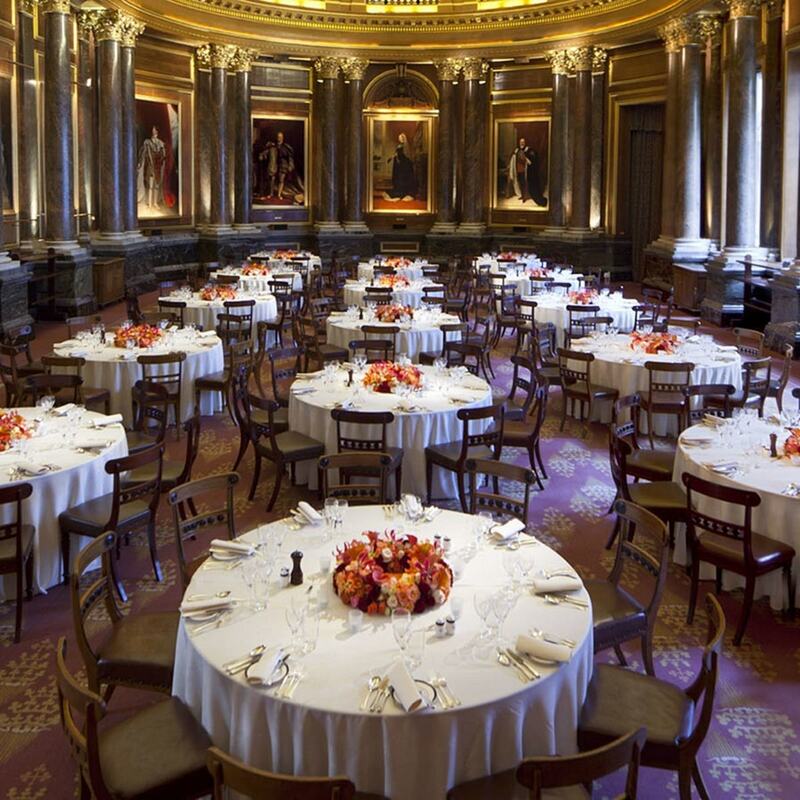 We're coming full circle and ending with another traditional banqueting house – the home of the Drapery Company, the unmistakeable venue from such classic films as The King's Speech and Goldeneye. Drapers' Hall opens its doors and expansive City spaces to all sorts of celebrations, boasting personalised service and individually designed menus. 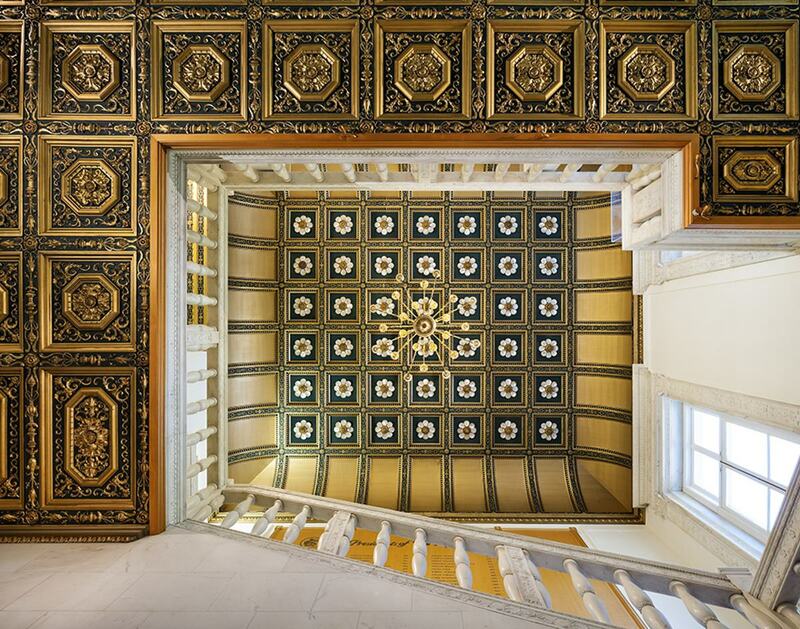 The grand Livery Hall, with its marble columns, holds up to 270 for seated dinners, while the Court Dining Room is another popular space that wows with its lavish staircase and landing. For more awesome venues, head to hirespace.com. Visit Hire Space's profile on Pinterest.